You don't need to buy a new car whenever the latest feature is released. These aftermarket products allow you to upgrade the technology in any vehicle. It’s not just homes that are getting smarter, more and more technology is being added to cars to help them become smarter and safer. 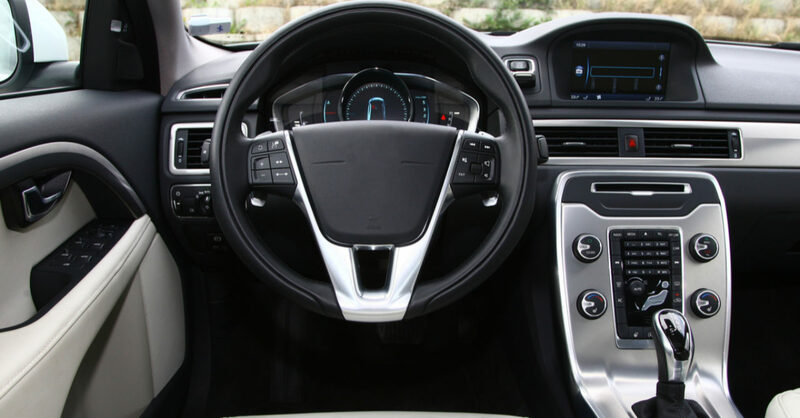 Since it’s not always practical to buy a new car each time new features are released, here are some ways to update the technology in your current vehicle. Heads Up Displays reduce distractions while driving by projecting navigation instructions, car speed, incoming phone calls, etc. in the driver’s line of sight. This feature is becoming increasingly more common in new cars, but can also be purchased for older vehicles. There are several different makes and models available so you can find the one that fits your needs and budget. Backup cameras are becoming a standard feature. In fact, by 2018 the National Highway Traffic Safety Administration will require backup cameras in all new cars. There are multiple options including systems that broadcast to your smartphone, come with a monitor you can attach to your dashboard, or can be viewed in your rearview mirror. Bluetooth technology started appearing in cars around 2004. Connecting your phone to your car via Bluetooth allows you to make phone calls, stream music, and more, all while keeping your hands safely on the wheel. Bluetooth kits can be added to cars without this feature so everyone can enjoy the benefits. Subscribe to our newsletter to get the latest news, tips, and tricks right in your inbox.